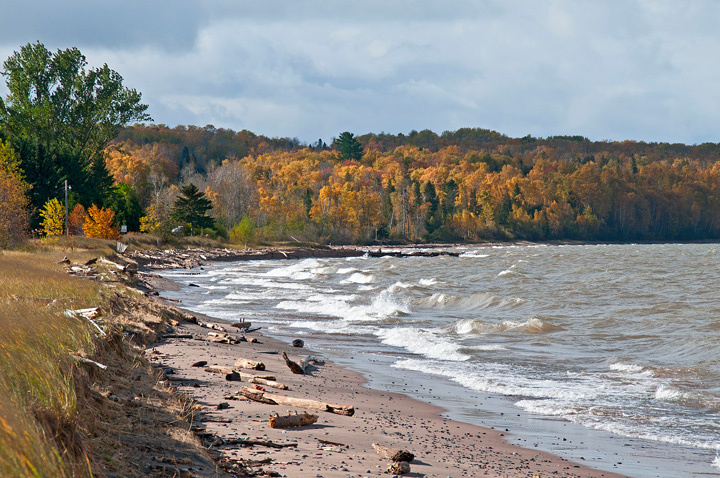 In late October we took a late fall road trip from Duluth to Bayfield. Our first stop was Davidson Windmill located just outside Superior, Wisconsin on highway 13. I had driven by it many times but never took time to stop. 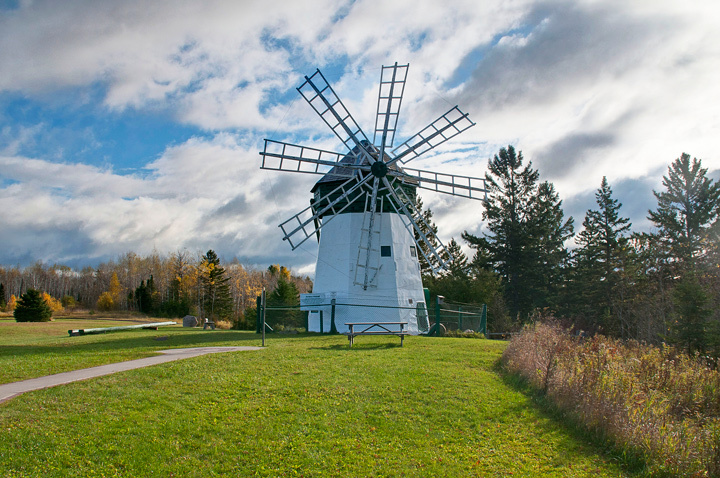 It was built by a Finnish immigrant in 1904 and was used to mill locally grown grain. Our next stop was the mouth of the Amnicon River. This was only the second time I had been to this location. I’ve always wanted to photograph the area around sunset but never made it this year. The sandbar that separates the Amnicon River from Lake Superior is usually covered by dead trees and logs. The third stop was Port Wing Harbor. 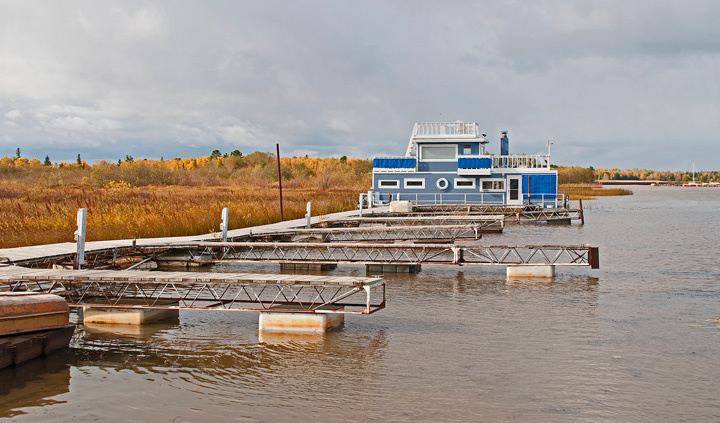 This houseboat is usually moored in the harbor. The story is that you can’t have houseboats in the harbor so once every summer the owner take it out onto the lake thus qualifying it as a boat. Herbster, Wisconsin was the next stop. The wind was blowing and there was nice wave action on a beautiful fall day at the beach in Herbster. We drove from Herbster to Cornucopia where we stopped at the harbor where there are a number of old fishing boats on display. 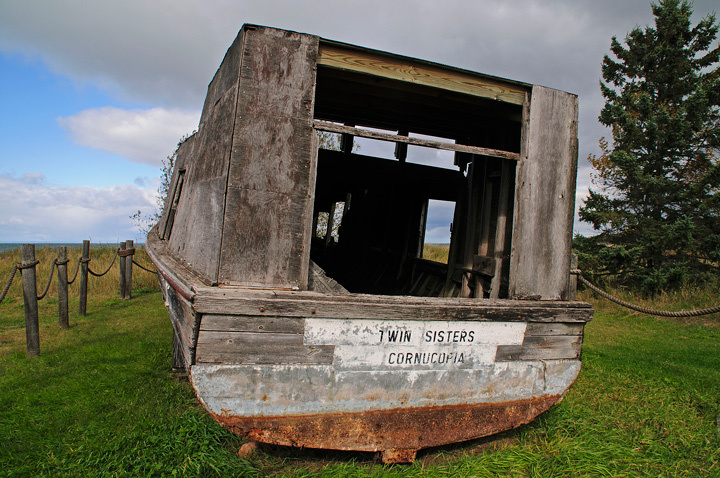 This is the Twin Sisters out of Cornucopia. 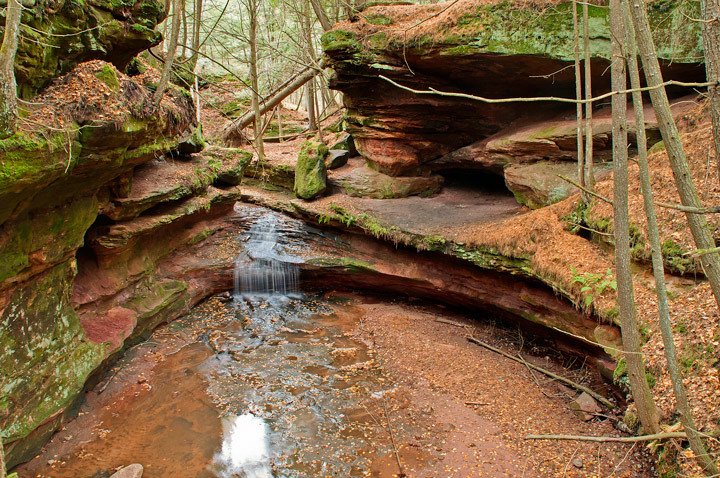 My wife was interested in visiting the Apple Orchards in Bayfield but my goal was to visit Houghton Falls State Natural Area. We had tried to find it a few weeks earlier but failed. This time we had a better map. It was getting a little late and everyone but me wanted to head back to Duluth. I did manage to get a few shots and an overview of the area.